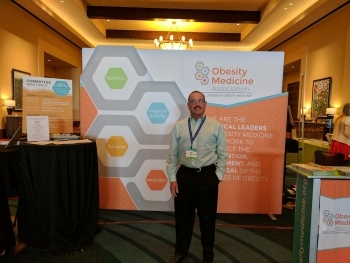 Good morning, Dr. Terlinsky here in San Antonio, TX at the annual meeting of the Obesity Medicine Association. I will be attending lectures and other educational sessions on the latest developments in the fields of nutrition and weight management. This morning I had breakfast with Dr. Eric Westman from Duke University who is an international expert on weight loss and ketogenic diets He told me about his program at Duke and how patients are treated with low carb diets. Dr. Westman is a firm believer in teaching patients how to follow low-carb diets to cure their sugar addiction, improve insulin sensitivity and lose excess body fat. He shared data with me relating to the likelihood of a patient getting into ketosis based on the total amount of carbs ingested. His initial favorite is to start at 20 grams per day. I heard the results from an interesting, novel strategy to lose weight by following an alternate date fasting (ADF) vs. a calorie reduction diet (CR) of 25 % per day. 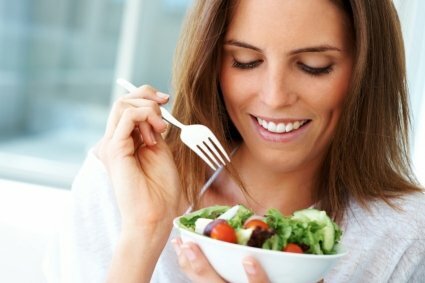 Basically, a person eats about 500 calories on one day and gets to eat whatever they want on the other. After one year there was not much difference between the two. There may be an advantage to the alternate-day fasting for pre-diabetics as insulin sensitivity may improve with the alternate-day fasting.